For other Arab federations, confederations and unions, see Arab federation. Religion Majority Islam (Sunni and Shi'a), minorities Christianity and others. 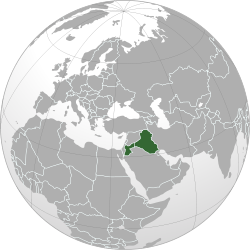 The Arab Federation of Iraq and Jordan was a short-lived country that was formed in 1958 from the union of Iraq and Jordan. Although the name implies a federal structure, it was de facto a confederation. The Federation was formed on 14 February 1958, when King Faisal II of Iraq and his cousin, King Hussein of Jordan, sought to unite their two Hashemite kingdoms, as a response to the formation of the United Arab Republic. The union lasted only six months, being officially dissolved on 2 August 1958, after Faisal was deposed by a military coup on 14 July. From the 1930s on the Hashemite dynasty tried to promote Arab unity, as witnessed by the efforts of Iraq and Jordan to unite at three different times. "From the Iraqi perspective, Jordan had little to offer, either economically or strategically, to counterbalance its numerous liabilities". The liabilities included Jordanian King Abdullah's moderation on the Arab–Israeli conflict, his installation by Britain and the unstable relationship between Abdullah and his nephew, Iraqi regent, 'Abd al-Ilah. Regardless of the issues, the two countries first attempted unification in 1946 and 1947 and was introduced by King Abdallah "Stemming from his renewed promotion of the Greater Syria Scheme". The second time was in 1951 and 1952 and resulted from the attempt to rescue Jordan and the Hashemite control after Abdullah was assassinated. In 1958 was the third alliance, which came out of the shared regional interests between Iraq and Jordan against the expansion of the United Arab Republic. During the post-colonial years in the Arab world many forces argued for the creation of a single Arab state. Popular under the name of Arab nationalism, it became increasingly popular among young intellectuals throughout the Middle East and in Iraq during the 1950s. Many different versions of Arab nationalism arose, which developed into an Arab Cold War. The movements were led by many different leaders, the most famous being that espoused by Gamal Abdel Nasser, the president of Egypt. His vision of a pan-Arab state was one that was free of foreign and specifically European interference, with land reform, socialist sympathies and dissolution of the ruling monarchies. For royalist and pro-European Iraq and Jordan, Nasser's vision was incompatible with their existence. Led by Prime Minister Nuri al-Said under King Faisal II, Iraq and Jordan were Hashemite monarchies since their establishment in 1922 at the bequest of the British. The basis of rule in Iraq was diametrically opposite the type of legitimate rule espoused by Nasser, who had overthrown Egypt's own monarchy in 1952, when the Free Officers Movement forced King Farouk into exile. Further complicating the relationship with pan-Arabism was Iraq's relationship with the West and its Anti-Soviet containment policy. In 1955, Iraq entered the short-lived Baghdad Pact at the urging of the United Kingdom and the United States. The pact sought to block the Soviet Union from southward expansion by preventing it from getting access to the petroleum resources of the Middle East and aimed to prevent it from establishing a foothold in the region, especially among the populace. 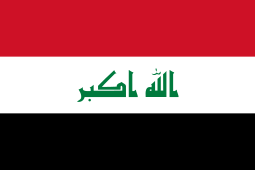 It aligned Iraq with Turkey, Pakistan, Iran and the United Kingdom. While al-Said saw the treaty as a guarantee to the security of the Iraqi state, his government and the Hashemite monarchy, Nasser openly and loudly criticised the treaty as a capitulation to foreign powers. In early 1958, the formation the United Arab Republic (UAR) between Syria and Egypt brought Nasser's pan-Arab ideals that threatened the existence of both Hashemite regimes, to the Western borders of Iraq. To counter Nasser's pan-Arabism, as-Said approached the Hashemite government of Jordan to discuss the formation of a union while also appeasing Arab nationalists within Iraq. 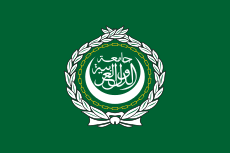 Officially formed on 14 February 1958, the Arab Union or Arab Federation united foreign policy and defense of each country but left the vast majority of other domestic programs under national jurisdiction. Nuri as-Said became the Premier of the Arab Union, mistakenly believing that the Iraqi military command would keep the King on his throne and his government in power, but he neglected to see the growing opposition in the Sunni officer corps against the regime. That overthrew him and Iraqi government and ended the Arab Union in the summer of 1958. Tension between the UAR and the Arab Union (Arab Federation) resulted in the fall of as-Said, the Union and the entire Iraqi Hashemite regime. During the summer of 1958, UAR troop movements to the Syrian border instigated the Arab Union to mobilize troops to counter this move. In July 1958, troops led by Abd al-Karim Qasim travelling through Iraq, took a chance to overthrow the King and his government in Baghdad. With the fall and resulting deaths of Saed, King Faisal II and the rest of the Iraqi royal family, both the Hashemite regime fell and with it the short lived Arab Union. ↑ Maddy-Weitzman, Bruce. "Jordan and Iraq: Efforts at Intra-Hashimite Unity." Middle Eastern Studies 26 (1990): 65-75. JSTOR. University of Michigan, Ann Arbor. 9 March. 2009 . Page 65. ↑ Maddy-Weitzman, Bruce. "Jordan and Iraq: Efforts at Intra-Hashimite Unity." Middle Eastern Studies 26 (1990). : 65-75. JSTOR. University of Michigan, Ann Arbor. 9 March. 2009 . Page 65. 1 2 Tripp, Charles. A History of Iraq. Cambridge University Press. Cambridge, 2007. p. 135-145. ↑ Brand, Laurie A. "Economics and Shifting Alliances: Jordan's Relations with Syria and Iraq, 1975-81." International Journal of Middle East Studies 26 (1994): 393-413. JSTOR. University of Michigan, Ann Arbor. 9 March. 2009 . Page 81. ↑ Ryan, Curtis. "Between Iraq and a Hard Place: Jordanian-Iraqi Relations." Middle East Report (2000): 40-42. JSTOR. University of Michigan, Ann Arbor. 9 March. 2009 .